Emily only had one long sleeved dress in her wardrobe, and with the weather getting a lot colder here, I decided to make her another. 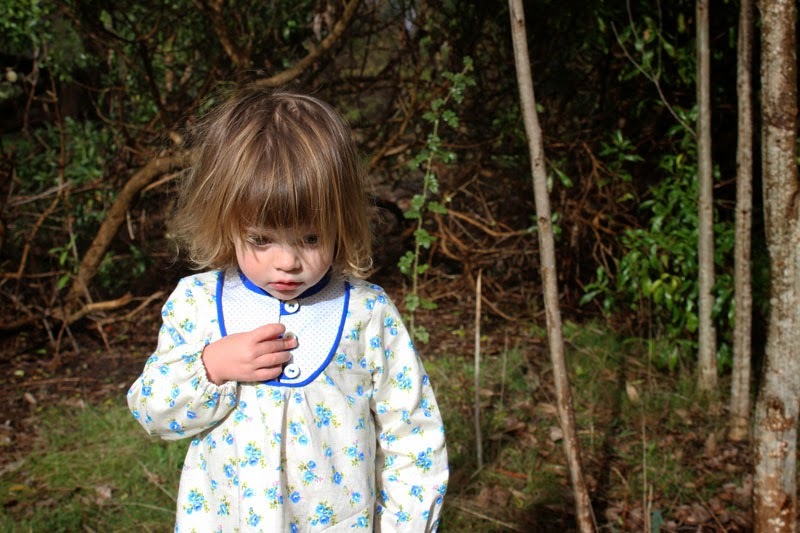 I made her a mara dress by lovely Marte from Compagnie-M. This pattern is enjoyable to put together - especially the yoke. I have made two other Maras here and here. The fabrics I used are from Spotlight. The floral reminds me of something my Grandma would have owned. The yoke is a fine little spot that is really pretty. I used royal blue binding and piping and three vintage cream buttons. This time I gathered the dress under the yoke instead of doing the pintucks - just for something different. 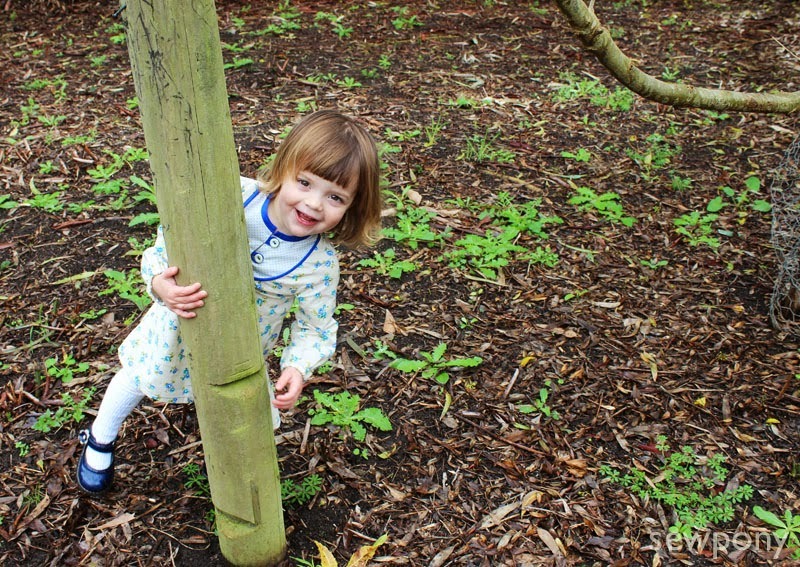 I chased Emily around the garden but most of my photos were of the back of her head as she ran away from me or of her hiding behind this pole!! Emily is so crazy cute and funny. 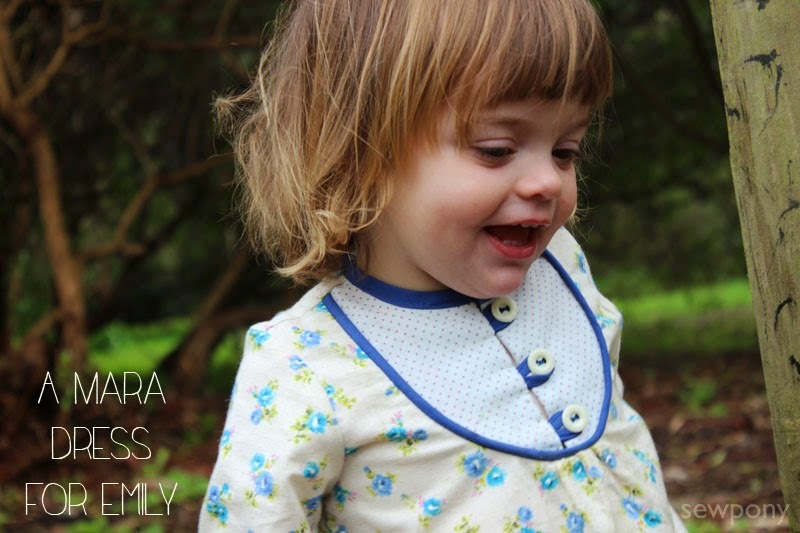 She makes everyone laugh with her bubbly personality and chatter (and her singing). I love her so much. This is so sweet and Emily sounds like Iris : bubbly and a loves to chatter. She makes us all smile and laugh every day! 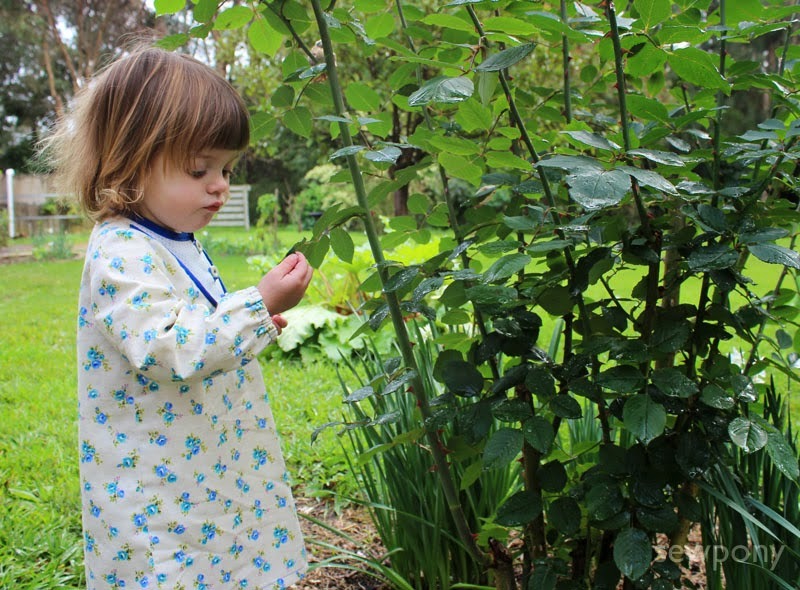 Such a sweet dress... and the fabric is so pretty! I have long wanted to make the Mara dress, and yours is beautiful. Love the fabric choice and the very last photo. So adorable.